WDM Carpet Cleaners offers carpet cleaning for Residential and Commercial properties, as well as Apartment Complexes in the Des Moines Area. Area and Oriental Rug Cleaning - WDM Carpet Cleaners has the experience and the knowledge to clean your coveted area and oriental rugs. Carpet and Fabric Protection - WDM Carpet Cleaners is able to safely apply products designed to prevent stains from setting in. These products are approved by hundreds of manufacturers and will not void existing warranties. Our protection products can help buy you time so you can get your property cleaned before it's too late. Furniture and Upholstery Cleaning﻿ - WDM Carpet Cleaners is no stranger to spills and stains on furniture and upholstery. Our truck-mounted equipment has the power to clean those stubborn stains. Pet Odor Removal - WDM Carpet Cleaners uses pet-friendly cleaning products. We love our pets also, but know that sometimes accidents happen and we will be there to gladly help. ﻿Stain Removal﻿ - WDM Carpet Cleaners is versed in the fine art of stain removal. Different offending agents require different techniques and cleaners and our IICRC technicians have the expertise to attack those pesky stains. ﻿Tile and Grout Cleaning﻿ - WDM Carpet Cleaners partners with a few select reputable local providers to provide this service to our customers. We leverage our long standing working relationships to your advantage! Water Damage and Water Extraction - Iowa is known for unexpected weather changes and we're no stranger to flooded buildings and basements. We offer complete water damage services including water extraction and mold remediation and work with most insurance companies for covered claims. We also utilize our business partnerships for large commercial projects and when disaster strikes large numbers of people at once. 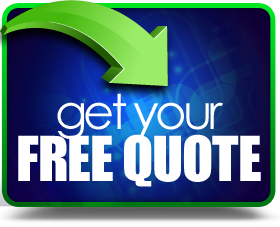 Free No Obligation Estimates - WDM Carpet Cleaners proudly offers FREE Quotes on all our Services, with No Obligation. We want to help you make the best decision for your home.